Draft: 2000, Houston Astros, 2nd rd. Chad Michael Qualls and his wife Tara reside in Austin, Texas, with their two sons, Caiden and Cavin, and daughter, Carter … graduated from Narbonne High School in California where he pitched in the Class 3A state finals at Dodger Stadium in 1996 and 1997 … attended Los Angeles Harbor College … drafted in the 52nd round of the 1997 First-Year Player Draft by the Toronto Blue Jays but did not sign … transferred to the University of Nevada-Reno and earned All-Big West Conference honors in 1999 and 2000. Made 44 appearances in his first season with the Rockies, his ninth big league team...Scored upon in 11 of his 44 games … scored upon once in eight outings after being reinstated from the disabled list Aug. 19...Struck out his 600th career batter, Sean Rodriguez, June 9 vs. Pittsburgh...Made his 800th Major League appearance May 28 vs. San Francisco … finished the season with 825 career appearances, 45th on the all-time list … finished the season 35th all-time in relief games...One of three active pitchers with 800 games (F. Rodriguez, J. Lopez) … his 51 wins are second among active relievers, 790.2 career relief innings are second among active pitchers..Notched two wins in April for the Rockies … was 2-0 with a 3.72 ERA (9.2 IP, 4 ER) over his first 14 games … scored upon three times in that span...No runs allowed April 18-May 8 (6.1 IP) over nine games...Placed on the 15-day disabled list July 23 with an illness … reinstated Aug. 19 after two rehab appearances at Triple-A Albuquerque (1.2 IP, 4 ER) on Aug. 13 and Aug. 15. Made 60 relief appearances for the Houston Astros, his 11th-straight season with at least 50 appearances. Finished the season fifth on the Astros all-time appearances list with 380. Ranked seventh among American League relievers in groundball percentage (60.6%), his second-best groundball percentage in a single season, behind his 2013 season with the Marlins (65.0%). Struck out 46 batters in 49.1 innings for an 8.39 strikeouts-per-nine innings mark, his best SO/9 rate in a season since 2007 with Arizona (8.49). Recorded three strikeouts in three different relief appearances, his most games with three-or-more strikeouts since 2009 when he did so in five games. Was placed on the 15-day disabled list from June 25-July 9 due to a pinched nerve in his neck. Signed a two-year contract as a free agent on Dec. 7, 2013, before leading the club in appearances and recording 19 saves (25 opportunities) as the Astros closer...with 58 appearances, moved into eighth place on the club's all-time appearance list with 320...jumped 12 spots on the list in 2014, and enters 2015 just 25 games behind RHP Larry Dierker (345) for seventh all-time in appearances...has made at least 50 appearances in each of the last 10 seasons (2005-14)...the only other MLB pitcher to accomplish this in that span is LHP Matt Thornton...led all Major League relievers in walks per 9.0 innings with his mark of 0.88 (5BB/51.1IP)...marked the second-lowest single-season walks per 9.0 innings ratio by an Astros reliever in club history, behind RHP Wilton Lopez's mark of 0.67 set in 2010...struck out 43 batters, which was good for the third-highest strikeout to walk ratio (8.60) among MLB relievers behind LHP Sean Doolittle (11.13) and RHP Koji Uehara (10.00)...his 8.60 mark also ranked second in club history for a reliever, as RHP Wilton Lopez set the record (10.00) in 2010...was 19-for-25 in save opportunities, but four of his six blown saves came against Oakland (27.00 ERA, 12ER/4IP)...against all other opponents, went 1-1 with a 1.33 ERA (7 ER/47.1 IP) while converting 17-of-19 save opportunities...posted the highest groundball to flyball ratio (2.71) by an Astros reliever since RHP Enerio Del Rosario (3.61) in 2011...made his 10th appearance on an Opening Day roster and remained with the club all season...had a six-game stretch where he did not pitch from April 12-18 as he was fighting flu-like symptoms...earned his first save of the season and the 52nd of his career on April 6 vs. LAA...marked his first save since June 9, 2010, vs. ATL...marked his first save in an Astros uniform since Sept. 26, 2007, at CIN...picked up his first win of the season on May 14 vs. TEX...was his first win in an Astros uniform since July 25, 2007, vs. LAD...marked his 24th win as an Astro, which moved him into a tie with LHP Juan Agosto for sixth place on the club's all-time wins list for relievers...had a streak of 19 straight scoreless appearances from April 21-June 11, spanning 17.2 total innings...marked the longest scoreless innings streak by an Astros reliever since RHP Wilton Lopez went 20.0 straight in 2010...Qualls also went seven straight save opportunities without a blown save in that span...posted the lowest first-half ERA (1.95) by an Astros reliever since LHP Tim Byrdak (1.71) in 2008 (min. 30IP)...his strikeout to walk ratio of 7.25 (29SO/4BB) in the first half marked the highest by a pitcher in Astros history (min. 30IP)...had a stretch where he did not allow an earned run in 31 of 33 outings for a 0.59 ERA (2ER/30.1IP)...walked just two batters while striking out 25 in those 33 games from April 21-July 22. Posted a career-best 2.61 ERA (18ER/62IP) in 66 appearances with the Marlins...ranked second among Marlins relievers in ERA behind Steve Cishek (2.33 ERA) ... induced 11 double play balls, which ranked third among National League relievers ... his 77.7% ground ball percentage was the highest of his career and ranked fifth in the National League...54 of his 66 appearances were scoreless ... according to PITCHf/x, had the sixth-most effective sinker among National League relievers ... also threw his sinker (61%) more than all but four NL relievers, according to PITCHf/x ... was a non-roster invitee to Marlins Spring Training after signing a minor league deal with the club on Jan. 25, 2013...made the club out of Spring Training and was selected to the Major League roster on March 31 ... spent July 13-15 on the Paternity List...his longest outing of the season came on April 14 at PHI (2.1IP)...earned his first win of the season on June 9 at NYM...had a run of 12 consecutive scoreless innings of relief from July 3-31 (11.2IP). Went 2-1 with a 5.33 ERA (52.1ip/34r/31er) in 60 combined games between Philadelphia, New York (AL) and Pittsburgh...Began season with Philadelphia...Did not allow a run in his first six appearancesbefore surrendering a solo home run to Arizona's Jason Kubel on 4/24...Allowed two runs in 0.2ip and was charged with a blown save while also picking up first win on 4/30 vs. Chicago(NL)...Was charged with only loss (0.0ip/1r) with Philadelphia on 5/8 vs. New York (NL)...Surrendered a total of three home runs in back-to-back games on 5/24 and 5/27...Was scored upon twice(12.2ip/6er) in 15 appearances during the month of June...Was designated for assignment on 6/28 and acquired by the Yankees on 7/1 for cash considerations...Was scored upon once in his firstfour appearances with the Yankees (4.0ip/1r)...Picked up lone win with New York on 7/13 vs. Los Angeles (AL)...Was acquired by Pittsburgh on 7/31 in exchange for infielder Casey McGehee...Madedebut with Pirates on 8/3 at Cincinnati and tossed a scoreless inning...Was scored upon once in his first four games (4.1ip/1er) with Pittsburgh before giving up five runs (four earned) in 0.1ip vs.Los Angeles (NL) on 8/14...Was on Bereavement List from 8/16-20...Was reinstated on 8/21...Was placed on the 15-day disabled list on 8/26 (retroactive to 8/25) due to left toe irritation...Wasreinstated on 9/9...Made four straight scoreless appearances (3.2ip) between 8/24 and 9/16...Was scored upon in back-to-back games on 9/18 (0.2ip/1r) and 9/20 (0.1ip/3r) before ending theseason with three straight scoreless outings (2.1ip)...Was scored upon in five of 17 games with the Pirates, with five of his 11 runs coming in 0.1ip on 8/14 against the Dodgers...Allowed one ofhis five inherited runners to score while pitching with Pittsburgh. Ranked 8th among all ML relievers in appearances (77). ... Surpassed 70 appearances for the 6th time in his eight full ML seasons. ... Led team in relief innings (74.1) and relief wins (6). ... 61 of his 77 appearances were scoreless (79%), including 34 of 39 at home (87%). ... Went 3-2, 1.83 ERA (7 ER, 34.1 IP) over his first 32 outingsand 3-6, 4.95 ERA (22 ER, 40.0 IP) in his final 45 games. ... Made his 500th career appearance, 7/2 at SEA. ... Went 2-3, 2.09 ERA (9 ER, 38.2 IP) in 39 home games and 4-5, 5.05 ERA (20 ER, 35.2 IP) in 38 road games. ... Held RHH to a .218 AVG. Split his season between the Diamondbacks andRays...traded to TB at the 7/31 trade deadline.Combined to go 3-4 with a 7.32 ERA (48 ER/59.0 IP) in 70 reliefoutings...Recorded 12 saves in 16 opportunities with the Diamondbacksbefore the trade...did not record a save in three opportunities withthe Rays...After entering the season with a career 3.32 ERA, posted the highestqualifying ERA and opponent batting average (.340) among MajorLeague relievers...Made two Division Series appearances for TB against TEX...worked1.1 scoreless innings in Game 1, and then allowed two runs in 0.1frame in Game 2. In his first full season as a closer, converted a career-high 24 saves (in 29 opportuni¬ties) with a 2-2 record and 3.63 ERA (21 ER in 52.0 IP) in 51 games before a late-season injury prematurely ended his season...His 24 saves were 14th in the NL and rank sixth on the club's single-season list... In 25 home games, was 1-1 with 8 saves, a 2.77 ERA (8 ER in 26 .0 IP) and .259 op-ponents average (28-for-105) with 4 walks and 24 strikeouts...over 25 road outings, was 1-1 with 15 saves and a 4.74 ERA (13 ER in 24.2 IP) and had a .263 opponents average (25-for-95) with 3 walks and 20 strikeouts... Allowed 5 of 15 inherited runners (33.3%) to score... Led all relievers with a 1.21 walks per 9.0-innings ratio and a 6.43 strikeouts-to-walks ratio while his 7 walks issued were fewest among all relievers (min. 50 games)... His 3.48 pitches per batter faced ratio was fifth in the NL while his 14.5 pitches per inning ratio ranked sixth among NL relievers...Struck out a season-high 3 batters on April 14 vs. Cardinals, April 18 @ Giants, April 26 vs. Giants, May 21 @ Marlins and Aug. 10 vs. Mets... Converted 10-straight save opportunities from July 4-Aug. 23, one of only 5 relievers who had been perfect in rescue situations during that span (min. 6 save opp.)... Suffered a left kneecap dislocation on the final play while picking up the save in a 4-3 win on Aug. 30 vs. Astros...placed on the 60-day disabled list on Aug. 31 for the remainder of the season. Was 4-8 with a 2.81 ERA, 22 holds and 9 saves in a team-high 77 appearances during hisfirst season with the D-backs...ended the season as the team's closer and converted all7 save opportunities while throwing 7.1 scoreless innings in 8 games from Sept. 12-27....also held opponents to a career-best .224 batting average (61-for-272)...His 22 holds tied for seventh in the National League and were 1 shy of his career-high(23 in 2006), becoming the first pitcher in Major League history to record 4 consecutive20-hold seasons...his 88 holds since 2005 rank third in the Major Leagues...Among NL relievers with 60.0 more innings pitched, finished tied for second in doubleplays induced (13), eighth in appearances and ninth in ERA...also tied for eighth-fewestwalks (18) and 10th-fewest earned runs (23) allowed...Leads all Major League relief pitchers with 324.2 innings pitched and 314 appearancessince his first full-season in the big leagues in 2005...Opened the season by allowing only 3 unearned runs over 16.2 innings in his first 16appearances from March 31-May 3...had streaks of not allowing an earned run in 8 ormore games on 4 occasions...Ended the season with a scoreless streak of 14.2 innings that began on Aug. 29 vs. LosAngeles Dodgers and lowered his ERA from 3.47 to 2.81...it was the second-longestscoreless streak for a D-backs reliever during the season...Had a career-best 1.21 ERA (4 ER in 29.2 IP) in 30 outings after the All-Star break... heldopposing batters to a .194 average (20-for-103) and allowed only 3 extra-base hits duringthat span...Allowed only 11 of the 32 runners (34%) he inherited to score...in his career, has allowedonly 46 of the 165 runners (28%) he inherited to score. Ranked ninth in the NL in appearances and tied for 11th in strikeouts with a career-best 78...was tied for fourth among NL relievers with 6 wins...Leads the NL with 237 appearances since the beginning of the 2005 season...Is the first player in the Majors to record 3 straight seasons of 20-plus holds...Allowed 1 run or less in 69 of his 79 appearances this season (0.61, 5 ER in 74.0 IP), including 6.1 scoreless innings in his last 7 appearances of the season...Successfully converted his career-high fifth save with 1.0 scoreless inning on Sept. 26 vs. Cincinnati...Posted a 1.86 ERA (8 ER in 38.2 IP) in 35 appearances after the All-Star Break and did not allow a run in 26 of his last 29 appearances since July 26 (1.89 ERA, 7 ER in 33.2 IP)...His 0.73 ERA (1 ER in 12.1 IP) in July was the lowest of any month in his career...Served a 3-game suspension from MLB beginning on July 17 at Washington through July 20 at Pittsburgh for actions during the game on June 18 at the Angels (throwing a ball into the stands)...allowed 3 runs in 1.0 inning in that game against the Angels...pitched 1.0 scoreless inning on July 21 at Pittsburgh in his return to the active roster...Posted a stretch of 8 consecutive scoreless appearances (8.0 IP) from May 6-19...did not allow a hit in 6 of those games (May 7-17)...Did not allow a run in 7 consecutive appearances from April 10-25...Entered with 2 outs and 2 runners on in the ninth on April 20 vs. Milwaukee and retired the only batter he faced for his first save...Earned his first win on April 9 at the Cubs. Finished the season with a 7-3 record and a 3.76 ERA (37ER/88.2IP) in a career-high 81 appearances...his 81 gamespitched ranked tied for third all-time (Joe Boever, 1992), two away from Octavio Dotel's club-record 83 (2002)...tied for sixth among NL relievers in games pitched and ranked fourth in innings pitched (88.2)...seven wins are a career high...limited opponents to a .242 average...posted a 2.56 ERA (13ER/45.2IP) on the road and a 5.02 ERA (24ER/43IP) in 43 home games...went 5-2 at home...held opposing hitters to a .208 average on the road this year...was 2-0 with a 1.29 ERA (2ER/14IP) in 16 September outings...did not allow a run in his last nine appearances of the season from 9/18-10/1, a span of 8.0innings...allowed four hits with one walk during that span...pitched 0.2 scoreless innings on 9/28 at PIT...entered with thebases loaded and recorded an inning-ending double play on 9/27 at PIT...earned his career-high seventh win on 9/24 vs.STL after two strikeouts in 1.1 scoreless innings...earned his 6th win of the season after pitching 1.0 scoreless ninth-inning on 9/22 vs. STL...ranks fourth in the NL with 158 appearances since the beginning of 2005...pitched 2.0+ innings in 11 outings this season, posting a 2.01 ERA (5ER/22.1IP) in those games and limiting opposing hitters to a .211average......allowed only one run (0.52 ERA) in 17.1 IP over a 12-appearance span from 6/25-7/26...was the lowest ERA inthe Majors during that time span (min. 17 IP)...posted two three-game winning streaks...earned the win with 2.0 scorelessinnings on 4/10 vs. WSH...pitched 1.2 scoreless innings to earn his second victory on 5/19 vs. TEX...earned the win withone scoreless inning on 5/28 at PIT...suffered the loss on 6/18 vs. KC, allowing a three-run home run in the ninth innings(Mientkiewicz)...allowed four runs in three different outings, on 4/8 vs. WSH, 7/30 vs. ARI, and 8/21 at CIN...subtractingthose three appearances, he had a 2.62 ERA (25ER/86IP) for the season. Went 6-4 with a 3.28 ERA (29ER/79.2IP) in 77 appearances...allowed 73 hits in 79.2 innings while walking 23and striking out 60...ranked second among NL rookie relievers in innings pitched...posted a 6.00 ERA (2ER/3IP) in twoNLDS games vs. ATL...pitched 2.0 scoreless innings in Houston's 18-inning win over the Braves in Game 4...pitched 2.0scoreless innings in the Game 3 NLCS win over STL...earned his first career postseason win in NLCS Game 4...allowed agrand slam (Konerko) in World Series Game 2...appeared in three World Series games, posting a 1.69 ERA (1ER/5.1IP)...ranks fifth with a 2.60 walks-per-nine-innings ratio...ranked second among MLB rookies with 77 appearances (78,Majewski, WSH) and tied for seventh overall in the NL...tossed 1.2 innings with one run on Sept. 20 at PIT...induced aninning ending-double play on Sept. 14 vs. FLA...picked up his sixth win with 1.0 scoreless inning on Sept. 28 at STL...ranked second among NL rookie relievers with six wins...did not allow a run in 18 of his last 25 outings since Aug. 9(2.30 ERA, 7ER/27.1IP)...posted a 1.23 ERA (2ER/14.2IP) in August...did not allow an earned run in 55 of his 77 outings...lowered his ERA from 5.96 to 3.14 from May 27 to Sept. 1...posted a 2.06 ERA (10ER/43.2IP) in 44 games during thattime span, striking out 45 hitters and walking 10...posted a 3.89 ERA (18ER/41.2IP) and a 2.61 ERA (11ER/38IP) afterthe All-Star Break...earned the win in the Astros 6-5 victory in 13 innings on Sept. 2 vs. STL...tossed two innings andallowed a solo home run (Edmonds)...did not allow a run in 15 of his last 20 outings from Aug. 9-Sept. 20 (2.35 ERA,6ER/23IP)...posted a 1.23 ERA (2ER/14.2IP) in August...did not allow an earned run in 37 of his last 47 outings beginningJune 7 (2.25 ERA, 12ER/48IP) and in 40 of his last 51 beginning May 28 (2.26 ERA, 13ER/51.2IP)...tossed 2.0 innings andsurrendered one run on Aug. 28 at LA to suffer his fourth loss of the season...pitched 8.2 scoreless innings over 10appearances from June 7 to June 26...earned the win on June 21 vs. COL and June 26 vs. TEX...appeared in nine of thefirst 18 games of the season...earned the win with 2.0 scoreless innings on April 6 vs. STL...named the club's Rookie ofthe Year in 2004 by the Houston chapter of the BBWAA...still classified as a rookie for the 2005 season. Appeared in 25 games in his rookie season, finishing 4-0 with one save and a 3.55 ERA (13ER/33IP) in relief...made his Major League debut on July 22 at Arizona before being optioned back to Triple A New Orleans...returned toHouston on Aug. 11 for the remainder of the season...made his first trip to the postseason and appeared in six games...tossed 3.0 scoreless innings with three strikeouts in Game 6 of the NLCS at St. Louis - his longest outing of the season...pitched 2.0 scoreless innings in his first two appearances of the NLDS vs. Atlanta...tossed 5.2 scoreless innings overhis last three regular season appearances...posted a 1.76 ERA (3ER/15.1IP) over his final 11 appearances...notched hisfourth win on Sept. 29 vs. St. Louis with one scoreless inning...collected his third win on Sept. 4 vs. Pittsburgh, tossingone inning with one run...recorded his first Major League save on Sept. 12 at Pittsburgh...earned his second win ofthe year with a scoreless inning on Aug. 25 vs. Philadelphia...earned first Major League win with one scoreless inningon Aug. 19 at Philadelphia...tossed 6.0 scoreless innings over four appearances from Aug. 19-25...recalled from TripleA New Orleans on Aug. 11...was 3-6 with one save and a 5.57 ERA (66ER/106.2IP) in 32 appearances for the Zephyrs,including 14 starts...recalled from Triple A on July 20...made his Major League debut on July 22 at Arizona, tossing oneinning with one run on one hit...optioned to Triple A following the game...selected by the Astros in the second roundof the June 2000 draft...named to the Astros 40-man roster for the first time this season and participated in MajorLeague Spring Training. Pitched at Double A Round Rock, finishing 8-11 with a 3.85 ERA (61ER/141IP) in 28 games (28 starts - first in the TexasLeague)...ranked second in the TL with 141.0 innings and first with two shutouts...led the team in ERA (3.85 - ninth in Texas League) and strikeouts (132 - fifth in TL, second in Astros system)...also tosseda team and league-leading three complete games...over his final 11 starts, was 5-3 with a 1.94 ERA...named the Round Rock Pitcher of the Month in both July and August...went 2-2 with a 2.54 ERA (11ER/39IP) and 42strikeouts in August...finished July with a 3-1 mark and a 1.35 ERA (6ER/40IP)...named the Texas League Pitcher of the Week for Aug. 4-10 after going 1-0 with a 0.00 ERA, allowing four hits and twowalks while striking out 10 in nine innings...rated the No. 7 prospect in the Astros organization by Baseball America. Led Double A Round Rock in strikeouts (142), starts (29) and innings pitched (163)...his 29starts also ranked first in the Texas League...ranked third in the league in strikouts per nine innings (7.82). Won aMichigan franchise-record 15 games (tied for most wins among all Astros minor leaguers)...named a Midwest LeaguePostseason All-Star...tied for first in the MWL in wins, complege games (3) and shutouts (2) and with third in innings(162.0, fourth in the Astros system)...led the Battle Cats in starts (26) and strikeouts (125) while yielding just 31 walks. July 5, 2017 Colorado Rockies released RHP Chad Qualls. June 30, 2017 Colorado Rockies designated RHP Chad Qualls for assignment. June 26, 2017 Colorado Rockies activated RHP Chad Qualls from the 10-day disabled list. June 18, 2017 Colorado Rockies placed RHP Chad Qualls on the 10-day disabled list retroactive to June 16, 2017. Lower back spasms. April 26, 2017 Colorado Rockies activated RHP Chad Qualls from the 10-day disabled list. April 11, 2017 Colorado Rockies sent RHP Chad Qualls on a rehab assignment to Albuquerque Isotopes. April 2, 2017 Colorado Rockies placed RHP Chad Qualls on the 10-day disabled list retroactive to March 30, 2017. Right forearm tightness. August 19, 2016 Colorado Rockies activated RHP Chad Qualls from the 15-day disabled list. August 13, 2016 Colorado Rockies sent RHP Chad Qualls on a rehab assignment to Albuquerque Isotopes. July 23, 2016 Colorado Rockies placed RHP Chad Qualls on the 15-day disabled list retroactive to July 16, 2016. Colitis. 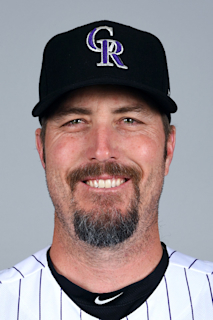 December 8, 2015 Colorado Rockies signed free agent RHP Chad Qualls. November 3, 2015 RHP Chad Qualls elected free agency. October 15, 2015 Houston Astros activated RHP Chad Qualls. October 8, 2015 Houston Astros reassigned RHP Chad Qualls to the minor leagues. July 10, 2015 Houston Astros activated RHP Chad Qualls from the 15-day disabled list. July 7, 2015 Houston Astros sent RHP Chad Qualls on a rehab assignment to Corpus Christi Hooks. December 7, 2013 Houston Astros signed free agent RHP Chad Qualls. July 16, 2013 Miami Marlins activated RHP Chad Qualls from the paternity list. July 13, 2013 Miami Marlins placed RHP Chad Qualls on the paternity list. March 31, 2013 Miami Marlins selected the contract of RHP Chad Qualls from New Orleans Zephyrs. January 25, 2013 Miami Marlins signed free agent RHP Chad Qualls to a minor league contract and invited him to spring training. November 3, 2012 RHP Chad Qualls elected free agency. September 9, 2012 Pittsburgh Pirates activated RHP Chad Qualls from the 15-day disabled list. September 3, 2012 sent RHP Chad Qualls on a rehab assignment to Indianapolis Indians. August 26, 2012 Pittsburgh Pirates placed RHP Chad Qualls on the 15-day disabled list retroactive to August 25, 2012. Irritation of left toe. August 20, 2012 Pittsburgh Pirates activated RHP Chad Qualls from the bereavement list. August 16, 2012 Pittsburgh Pirates placed RHP Chad Qualls on the bereavement list. August 1, 2012 Pittsburgh Pirates activated RHP Chad Qualls. July 2, 2012 Chad Qualls roster status changed by New York Yankees. July 1, 2012 Philadelphia Phillies traded RHP Chad Qualls to New York Yankees for cash. June 28, 2012 Philadelphia Phillies designated Chad Qualls for assignment. January 31, 2012 Philadelphia Phillies signed free agent RHP Chad Qualls. October 31, 2011 RHP Chad Qualls elected free agency. January 19, 2011 San Diego Padres signed free agent RHP Chad Qualls. November 7, 2010 RHP Chad Qualls elected free agency. July 31, 2010 Arizona Diamondbacks traded RHP Chad Qualls to Tampa Bay Rays. November 20, 2009 Chad Qualls roster status changed by Arizona Diamondbacks. August 31, 2009 Chad Qualls roster status changed by Arizona Diamondbacks.